Father's Day Gifts at AdoramaPix! Mother's Day Gifts at AdoramaPix! Check out AdoramaPix's Metal Prints! 15% off New Customer Orders! Check out AdoramaPix's lay flat photo books printed on real photo paper! 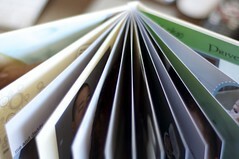 Check out AdoramaPix's Lay Flat Photo Books! AdoramaPix founded in 1998 and based in New York, NY is the online digital photo processing and storage division of Adorama Camera – a photo retailer who has been around for the last 30 years. AdoramaPix is relatively new to the photo book scene, having announced the addition of hardcover photobooks to its product lineup in the summer of 2009. AdoramaPix’s book design tool, called PixPublisher is an online software program and is compatible with both PC and Mac. The software offers pre-made templates which appeals to those wanting to make a quick but high quality photo book, while professionals will be drawn to utilizing the software to fully customize their own layouts. 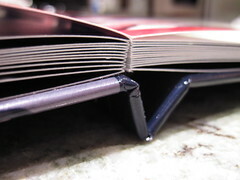 The books lay flat and have no gutter so you won’t lose any of the image in the center of the book. A two-page spread consists of a single piece of photo paper folded in the middle. Books are offered in preset increments of 14, 26, 38, 50 and 76 pages (Square leather books can be 14 to 76 pages with no set increments. 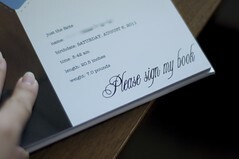 )Books can have flexible page counts from 10 pages minimum to 76 pages. AdoramaPix currently ships to U.S. and Canada. Check out my post for how to make your own AdoramaPix photo book and a review of AdoramaPix quality. Click HERE to go to AdoramaPix's site! Don't forget to check the main Photobook Deals page for all of today's deals! Bookmark that page or fan me on Facebook and you won't miss out on the latest coupon codes! Save money with the latest AdoramaPix coupons and deals, or see if there are any AdoramaPix groupons. Thinking about designing a photobook on AdoramaPix? You can view a detailed chart of every AdoramaPix photo book, including sizes and pricing. See the full list of AdoramaPix photo books.